Born Aug. 19, 1942, Bordesley, Birmingham, England, and is now known as David Scott-Morgan. He was ELO's guitarist from 1981 to 1986. He was a member of The Uglys with Steve Gibbons between 1967 and 1969, where Morgan was the bassist and vocalist. Morgan was part of the spin off Balls with Steve Gibbons and Trevor Burton, departing to be replaced by Denny Laine. Morgan was subsequently bassist and vocalist with Magnum, departing before their debut album, and guitarist with E.L.O. from 1981-1986. He was credited with performing backing vocals on the E.L.O. 1983 album, Secret Messages. 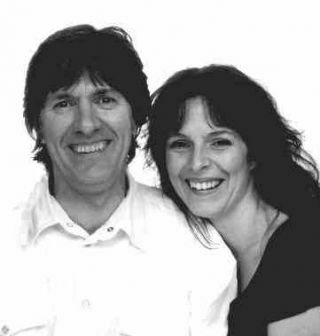 Dave Morgan formed the Tandy-Morgan Band, with the keyboardist Richard Tandy in 1985. Together they recorded the concept album, Earthrise. The album contained 14 tracks, all written by Morgan, with Richard Tandy's keyboard arrangements. 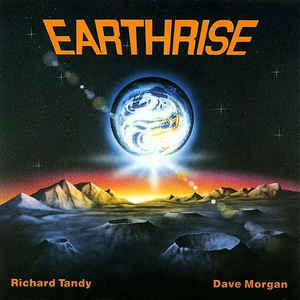 Earthrise was produced in Los Angeles by Steve Lipson, and eventually released on vinyl in 1986 on the FM Revolver label. In 1992, Dave Morgan released the album on CD. When interviewed by the editorial board of the E.L.O. fan club, Richard Tandy and Morgan were asked if they had "any music that's never been released". They did, and in 1987, this resulted in the release of B.C. Collection, songs recorded by Morgan, Richard Tandy and bass player Martin Smith between 1985 and 1987. The album contained the original version of the song "Hiroshima", which was a hit in Germany in 1971 for the band Wishful Thinking. In 1990, the German singer Sandra's version had a No. 4 hit in Germany. Other songs written by Morgan were "Something", written for The Move, and released as a b-side to their No. 1 hit "Blackberry Way"; and "This Time Tomorrow", also written for The Move, and released as a b-side to their hit "Curly". Morgan also recorded an album in 1968 that was issued on the US Ampex label as Morgan. It was not issued in the UK and has never been reissued. After 1987, Morgan continued releasing solo albums on his privately owned label. These albums are inspired on philosophies of Christianity. Dave Morgan married Mandy Scott in April 1997.
and request to join (you'll be asked a couple of questions). for more CDs and products. Webmaster: Ken Stavensoe Nielsen, 19-02-2019.